This week we’re looking ‘Robkta’s Treats’, a short & epic ep released & supported by net label, ‘Deskpop’. Robkta is a 27 year old hailing from Italy, whom both creates VGM remixes & producing music for a variety of affiliated labels, from ‘Business Casual’ to ‘Future City Records’. 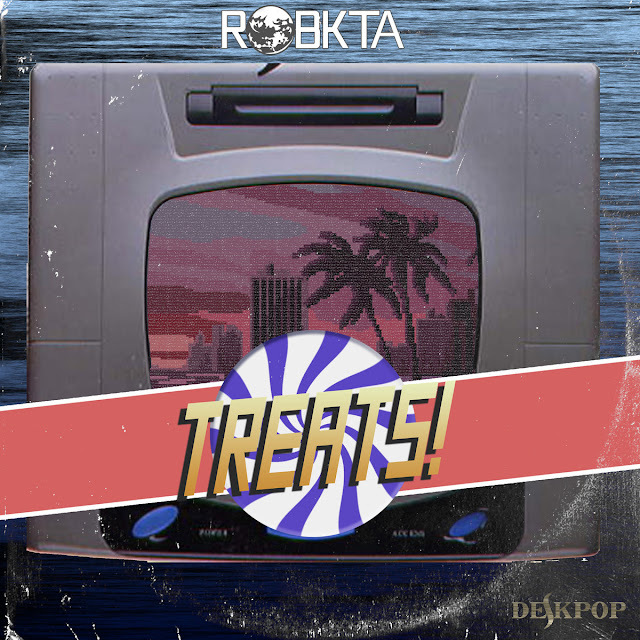 Getting into the ep, Robkta’s Treats is a sweet & special album, aiming to highlight beginning of the summer season, by taking the genres of funk, house & game touch and mashing them together, spectacularly. It does this straight away with the opening track, ‘Springroll’, an extremely thumping tune which really delivers, using strong melodic lines & edgy, funky percussion. There are even some incredibly cool, little elements such as, stringed instruments, as well as subtle rhythmic splashes that make ‘Springroll’ even more awesome. ‘Springroll’, is a track that as soon as the keys hit your ears, you’ll immediately know you’re in for an epic tune. Whilst there are only 3 tracks on Treats, each song is incredibly unique on its own and really puts the Title of the EP into perspective. This can be further seen in the 2nd track of treats, ‘Here’s a letter’, which is completely different to Spring roll, using a more funky, chilled out, jazzy vibe, the keys providing more than enough strength to an already epic tune. We seem to be having a lot of albums trying to convey the season of summer, but none does it better than Robkta’s treats. If you haven’t already bought this ep for your summer jam, now is the time!